Many Internet Service providers block SMTP port 25, which is used for sending out Email messages. They do this to prevent ordinary consumers from setting up an Email Server to send SPAM through their networks! Both Shaw/Rogers and Telus are examples of providers who block port 25 for ALL of their non-business clients, unless these clients are on their highend Premium Service plans! 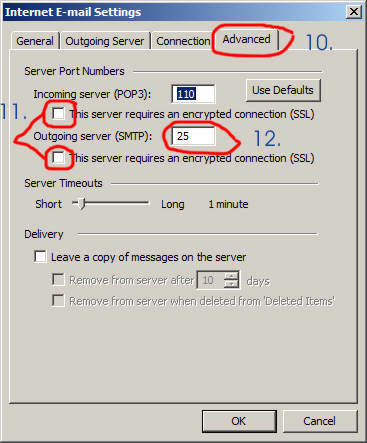 Unfortunately, many Email Clients such as Outlook, Outlook Express, Thunderbird, Entourage, Eudora, etc, defaults to using Port 25 (SMTP) for sending out emails! 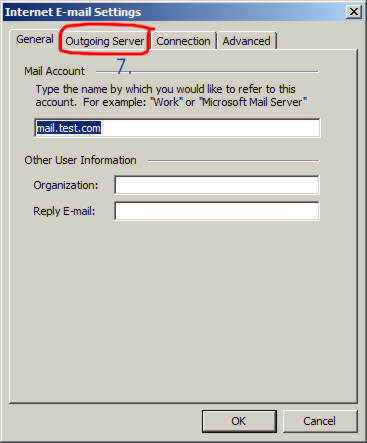 If it's possible, start using the browser based WebMail Interface instead of a stand-alone Email client such as Outlook. The WebMail Interface offers many advantages over the stand-alone client, such as access to your emails from Anywhere using Any Devices, Unimpeded access through ISP firewalls, Mobile Device Support, Multiple Email Folders/Sub-Folders support...etc, just to name a few. 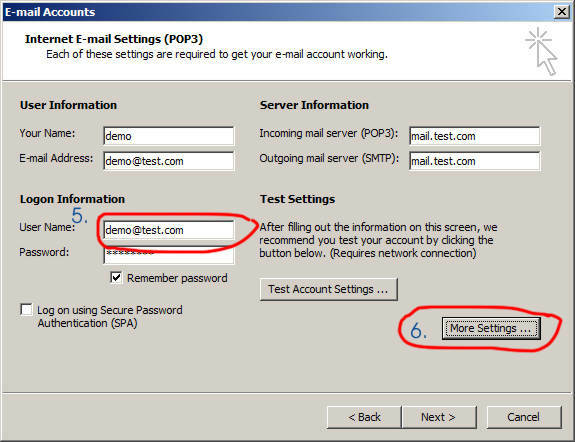 However, if you have to use a non-browser based Email Client and your Internet provider is blocking SMTP port 25 access, then you need to change your Outgoing SMTP Server Settings in your Email Client to use port 587 instead of the standard port 25! For instructions on how to change this setting in MS Entourage for MAC, click here. These steps are also applicable to other Email Clients such as Thunderbird, Entourage, ...etc. 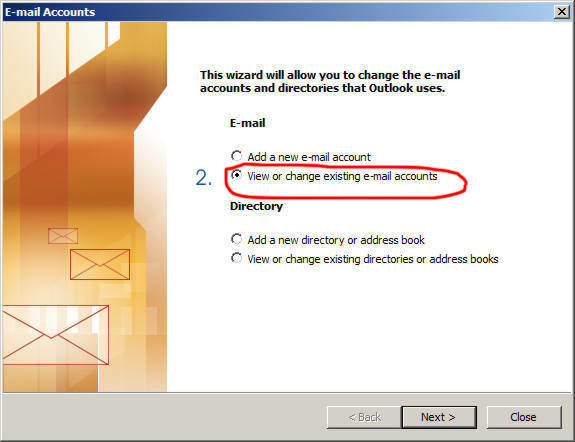 The only differences being the UI will look different and the settings' names might have a slight variation in wordings, but generally pretty close those found in OutLook 2003. 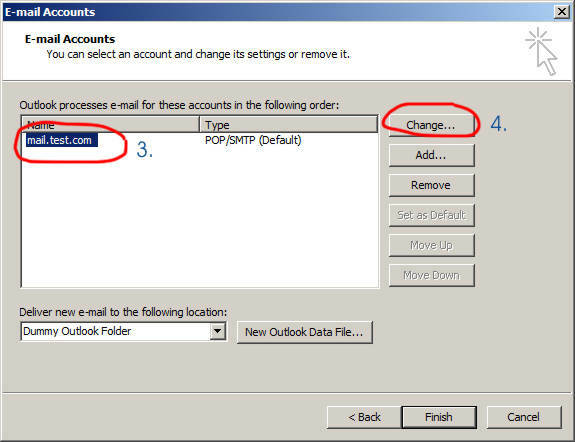 Click the "Change..." button to modify settings of the selected email account. Make sure you entered your FULL email address as the User Name as shown below. In addition, you should verify that the Server Information settings are correct for your Bloomland hosted email accounts. If you don't know what the server settings should be, click here for details. Click the "More Settings..." button to change Server related settings. 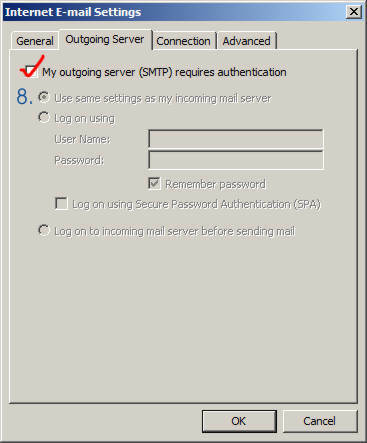 Select the setting "My outgoing server (SMTP) requires authentication"
Make sure you Check the option "Use same settings as my incoming mail server" ! Click the "Advanced" Tab for advanced Server Settings. 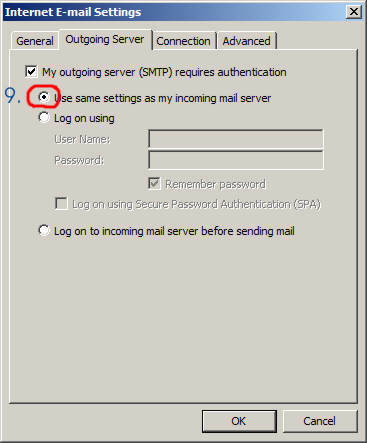 And MOST importantly, change the "Outgoing Server (SMTP)" port to 587 instead of 25! Click "OK" to Save your changes. Then Click "OK" or "Next" or "Finish" in the remaining dialog windows to complete and close the Account Settings dialogs.